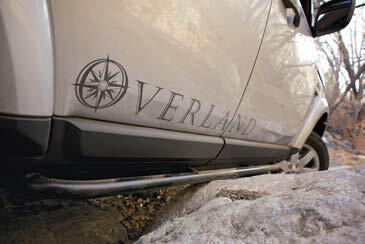 Editor’s Note: This article was originally published in Overland Journal, Spring 2013. 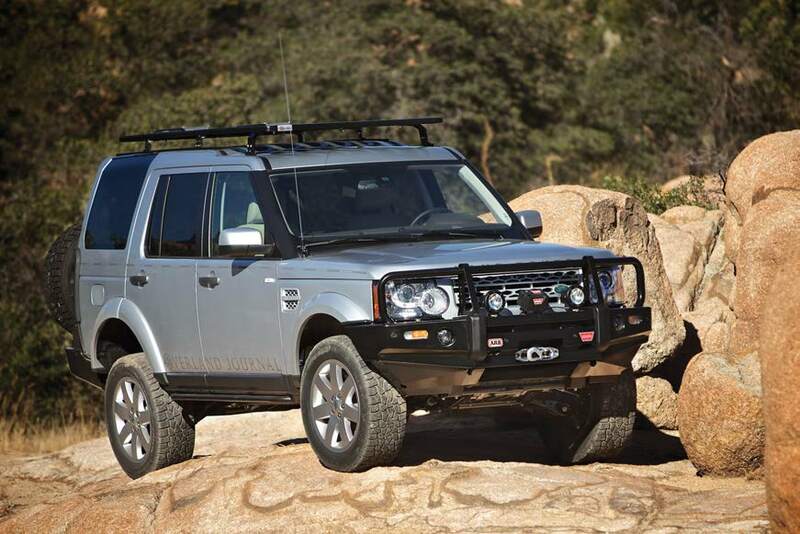 Overland Journal’s first project vehicle was a 1995 Land Rover Discovery I, a vehicle that has been well used and loved since this publication’s inception. Like many Land Rover owners, I believed the Golden Age of the brand ended when the last 2004 Discovery II was sold in North America. The newer models had independent front and rear suspensions and an even greater dependence on computer-controlled systems—electronics were never one of Land Rover’s strengths. I had resolved to keep my Discovery I functioning as long as possible, at least until the ROW Defenders could be imported under the 25-year rule. 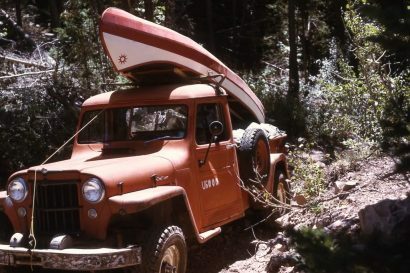 I was resigned that the legacy of Land Rover was all that remained. As time passed, even the most ardent of Land Rover purists began to see the performance and reliability advantages of the new platforms. It was easy to like the new Range Rover MKIII (L322), as it was so much better than the previous generation, the P38. 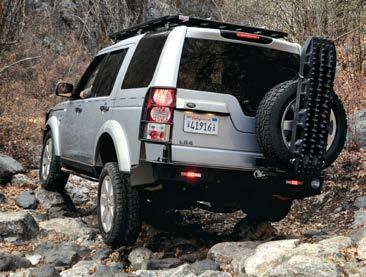 But the 2005 LR3 was infringing on hallowed territory, sending the last of the solid axle, body-on-frame Discoverys into the history books. For Land Rover enthusiasts, the real and virtual campfire conversations exploded with venom, but the reality was that none of the critics had driven an LR3, or even seen one on the trail. My first aha moment came in 2007 at the Land Rover National Rally when I watched a stock LR3 on balding tires effortlessly descend and climb White Knuckle Hill in Moab, Utah. I remember thinking, “Maybe there is something to these new trucks.” But I reserved judgment, concerned about the reliability and durability of these newfangled computers on wheels. Fast-forward to 2011 and a visit to Land Rover Las Vegas. While touring their facility, General Manager Ray Dinardi mentioned a fact that completely changed my outlook on the new Land Rovers as potential exploration platforms. We were standing in the shop, and I was surprised at how few vehicles were in the service bays; just the odd Range Rover P38, or vehicle in for a scheduled oil change. Ray said, “We used to have 25 service techs in a dozen bays. In fact, we used to rent off-site facilities to keep up with all the warranty and service work. Now, we have only five techs, and I use the extra bays to store my motorcycles.” I was shocked by that revelation. If we use simple calculations, reliability had improved by 200 percent in less than 5 years. But the fact was that reliability had improved much more, as Land Rover Las Vegas’ volume over the same period had increased by 30 percent. The LR3 was not only capable, but had proven itself significantly more reliable than previous-generation North American specification Discoveries. Armed with the realization that these new Land Rovers appeared promising from the outside looking in, it was time to arrange some extended seat time in the field, to validate the assumptions, positive or negative. 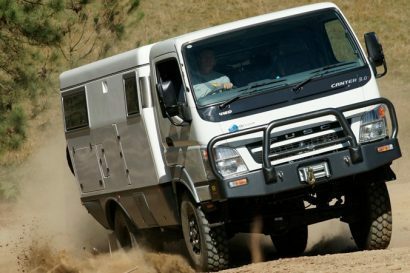 The first trip was a multi-week exploration of the Australian deserts in a 2008 Discovery 3. It was outfitted with a modest but functional set of accessories, including upgraded tires, an ARB front bumper, and a Kaymar rear. After thousands of kilometers and some reasonably challenging tracks, the LR3 had performed without failure—not even a flat. My return from Australia coincided with Stephanie’s (Overland Journal’s Director of Design and my wife of 20 years) need for a new car. After reviewing dozens of models, her final choice was a Range Rover MKIII, and I soon had a unibody, independent-suspension Land Rover in the driveway. Not only did hell not freeze over, but the car was brilliant, and I began making plans for my own modern Land Rover. Was I slowly becoming a believer? Without further adieu, I would like to introduce Overland Journal’s latest Land Rover project vehicle: a 2012 LR4 fitted with a 5.0-liter V8 and modest list of options. Unfortunately, the HD package was not available at the time we acquired the vehicle. At first glance, you may notice the color, silver, a notable deviation from my long-standing palette of white, white, and more white. Our goal for this project is to prove two assumptions. First, that a new LR4 can be appropriately modified for remote, long-distance overland travel in technical environments. Second, to determine and report on the vehicle’s long-term reliability and performance. 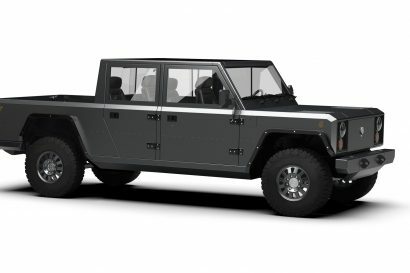 Our project goals for the LR4 are to address three major vehicle systems: body protection, self-recovery, and relocation of the spare tire; suspension, tires and trail equipment; and storage and camp systems. Through the team’s travels we have determined what we feel is the best practice for vehicle modification—lean heavily on the side of reliability and simplicity, and to a slightly lesser degree toward overall design, appearance, and integration. A vehicle that is thoughtfully and tastefully modified yields a satisfaction and pride of ownership we find valuable. With a vehicle like the LR4, protecting the expensive sheet metal becomes a priority. The goal is to install a front bumper that affords adequate animal-strike protection, and a secure mounting location for the self-recovery winch and auxiliary lighting. It is important for me to note that a heavy bumper, winch, etcetera is absolutely not required for long-distance adventure travel. However, if you desire to incorporate remote dirt tracks, mud, and snow, then it is worth evaluating. As with any modification, accessory, or piece of equipment, it all comes at a cost to available payload. Payload, established by the manufacturer as a load constraint, is most often defined by spring ratings, braking capacity, and other variables. General practice is to keep the vehicle’s total weight (the base curb weight combined with payload) below the gross vehicle weight rating (GVWR). 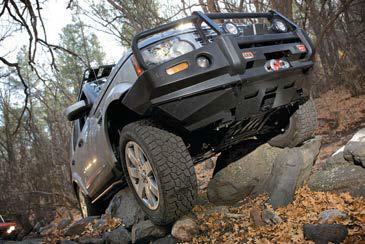 When evaluating front bumpers, there appeared to be two options for the LR4: an ARB Bull Bar or a custom-built unit. Having used ARB bumpers for decades, I have developed an appreciation for the factory fitment and familiarity of the shape. The support uprights and headlamp guards, positioned just above the hood line, clearly define the front corners of the vehicle. ARB bumpers are also designed to operate with the safety systems of late-model vehicles, ensuring proper function of airbags. We acquired the first LR4 bumper in the U.S. To ensure compatibility with the many electronic systems (cameras, proximity sensors, etcetera), we stopped by Land Rover Las Vegas to have the unit installed. Once back at the office, we removed the bumper to document all of the mounting systems and overall fitment. Prior to re-installation, we fitted a Warn 9.5xp-s winch featuring a 9,500-pound rated line pull (4,310 kg) and 100 feet of 3/8-diameter Spydura synthetic rope. Topping off the bumper is a set of Warn’s remote control 4-inch HID lights. They are activated with a wireless controller affixed to the dash, but as suggested from a fellow LR4 owner, David Marchand, we synced them to the factory wireless transmitter used for garage doors and gates—thanks, David. Though we initially debated whether to install rock sliders, one of the primary goals was to test the truck in technical conditions such as rocky trails, muddy ruts, and slickrock ledges. The primary concern was the impact to payload, so we researched available options. What we decided on was an aluminum unit produced by Terrafirma and sold by Lucky 8. The reduced mass is primarily due to the use of aluminum, but also because they are considerably shorter than other available units. This leaves a short section of the forward quarter panel unprotected, but I feel the coverage is appropriate to the application. Of note: These sliders were designed for the LR3 and did require some modification to install, including notching for the rear air conditioning lines and a small bend to clear the suspension compressor. For the rear protection we installed the tried-and-proven Kaymar swing-out bumper, designed and tested in Australia. With considerable personal experience using their bumpers on both Land Rovers and Land Cruisers, I was reasonably confident the Kaymar unit would be what we needed. The tire mount is always the Achilles heel of these bumper systems, but Kaymar seems to have discovered the secret formula. The bumper fits in place of the factory’s plastic unit, following the existing contour. This was no easy job for the Australians, but the end result is sturdy and complimentary. Glancing at the side profile, the vehicle’s appearance and stance changed completely, and I am particularly fond of how the spare tire now covers the awkward dip in the rear liftgate window. We finished off the rear with a set of four, black, Maxtrax traction devices, which are mounted to the spare tire. While brakes have improved dramatically in recent years, so has the size of brake calipers. The LR4, with its excellent brakes (large brake rotor), requires a rather large diameter wheel, thus a lower profile tire and less flotation. A device like the Maxtrax may come in handy to augment traction and reduce vertical load force in soft conditions like mud and sand.